When a lady asks her guy to teach her to fish the relationship could go either way! In terms of strained relationships, helping your girlfriend learn to fish could teter the scale either way. Some guys like to fish with their buddies while others do not mind taking their lady along. How would you feel if your girlfriend asked you to teach her to fish? 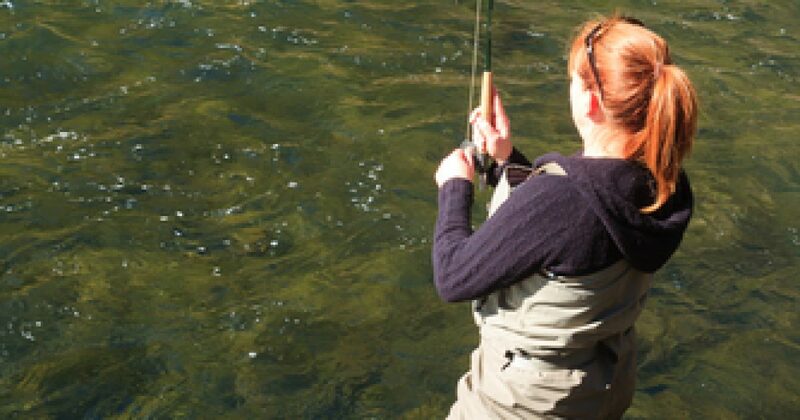 Are you keeping thoughts in the back of your mind that she could catch the biggest fish or the most fish? Maybe you really do not care and cannot wait to get her on the river bank with you. Either way, there are some ladies that just want to learn to fish and want to learn the right way to cast, in hopes of catching a fish! It might not come easy but most things worthwhile in life do not come easy! Watch These Two Bowfish For Suckers [video]! Dates are set for Louisiana’s 2017 Inshore Shrimp Season!